IATCB is the International Avian Trainers Certification Board, an independent body established to develop and manage certification of avian trainers. 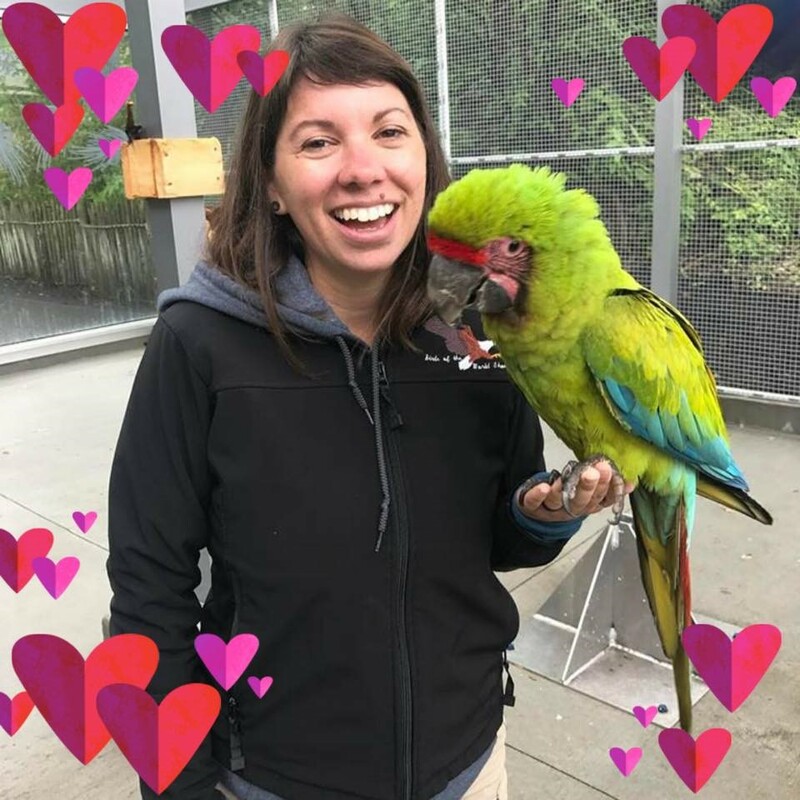 Meet General Board Member - Arianna Bailey, CPBT-KA (and a Great Green Macaw). Arianna (Ari) began working in the professional animal industry in 2006. Her career began by working with reptiles, mainly crocodilians, at a small zoo in Orlando. This is where she first found a passion for training, enrichment and animal behavior. Following her desire to learn more about behavior she sought out a position with Natural Encounters Inc. and was hired in January of 2009 to join their free-flight bird show at Disney’s Animal Kingdom. She has gone on to do road shows, consultation and teaching workshops on the art and science of behavior change. She is currently a supervisor with NEI and leads up the free flight macaw show. Ari serves as an IAATE General Board member as well and is also the Chair of IAATE's Professional Development Committee. We want you! We would love to highlight you or your facility in our newsletter and on our Facebook page. Contact info@iatcb.org for more information. Sign up for the last testing cycle for 2018! Time is running out! If you were certified in the first testing cycle of April 2013 your certification expires on 4/30/2018. How do I stop my bird from biting? St. Patrick’s Day falls on March 17th so don’t forget to wear your green! One bird that never has to worry about that is the Great Green Macaw, but it does have to worry about becoming extinct! The great green macaw is a stunning parrot with vibrant plumage. The head, back and upper wing are olive green in color whilst the rest of the wings and tip of the tail are blue. There is a scarlet red patch on the tail and on the forehead. This macaw inhabits the forest edges of lowland tropical rainforest. Particularly associated with the mountain almond tree which provides food and nest sites in much of this parrot’s range. This species was previously widespread in Central and northern South America, but populations have today become severely reduced.